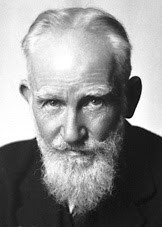 On this Academy Award weekend in 2007 it is worthwhile to step back and take a look at the one and only person ever to win both a Nobel Prize and an Academy Award -- the great Irish playwright, vegetarian and wit, George Bernard Shaw. Shaw was awarded the Nobel Prize for Literature in 1925. The committee cited him"for his work which is marked by both idealism and humanity, its stimulating satire often being infused with a singular poetic beauty." 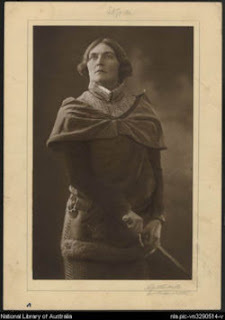 The award was based upon his work as a whole, but was triggered by his masterpiece St. Joan, which had premiered in London in 1923, starring Sybil Thorndike. 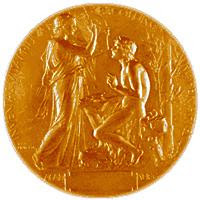 There is some commentary to the effect that Shaw turned down the prize and its SEK 118,165 award, yet a formal presentation speech was given by Per Hallstroem, Chairman of the Nobel Committee, and the British Ambassador, Sir Arthur Grant Duff, appeared and gave Shaw's thanks at the award ceremony in Stockholm on December 10, 1925. "I can forgive Alfred Nobel for inventing dynamite, but only a fiend in human form could have invented the Nobel Prize." In 1938 GBS received an Academy Award in the best Writing Adapted Screenplay category for the screen adaptation of Pygmalion, which, of course, was later transformed into My Fair Lady. Shaw shared the award with three Hollywood co-authors (W.P. Lipscomb, Cecil Lewis and Ian Dalrymple). "It's an insult for them to offer me any honour, as if they had never heard of me before - and it's very likely they never have. They might as well send some honour to George for being King of England."